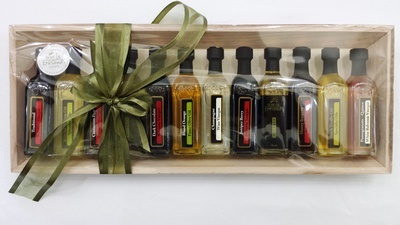 Description: A rare and exceptional deluxe gift presentation for the most discerning of palates and the balsamic purist. This presentation includes our Traditional Balsamic Vinegar which is Solera-aged for up to 18years in four types of wood, with 2 jars of Balsamic Pearls (one white balsamic pearls and one dark balsamic pearls), and a jar of our Aged Balsamic-Infused Sea Salt. Bring the finest presentation of elegance and upscale entertaining to your table with our Balsamic Pearls, and show off your molecular gastronomy finesse! Like caviar, these balsamic pearls will complement any dish and delight all of the senses. Balsamic caviar! Tasting Profile / Serving Suggestions: Use our Traditional Balsamic Vinegar to enhance your dishes: veggies, salads, meats, and desserts. 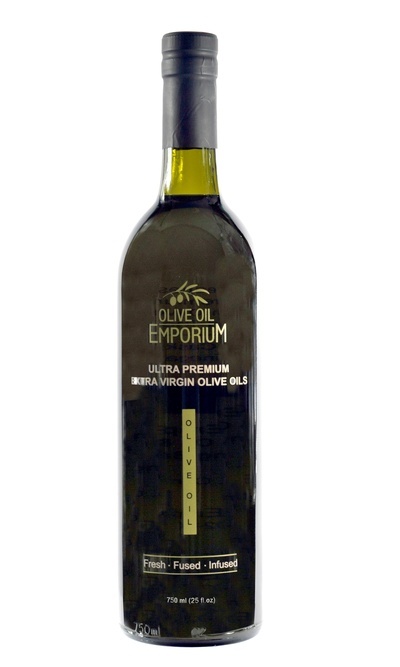 The balsamic infused sea salt will give an elegant touch of balsamic to any dish in a discreet way. The balsamic pearls will make an elegant and sophisticated accompaniment to oysters, smoked salmon, vegetables, caprese salads, and cheese presentations, as well as your most delicate canapes! They are also fantastic with sushi, and divine with dessert!